Hey Ken, who are shucking and jiving? 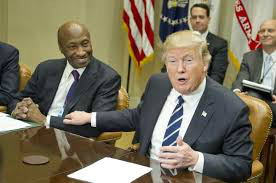 You know what is a load of crap that MERCK CEO, Kenneth Frazier, who decided only this morning that he could no longer support Trump. Why because he didn't respond to the Charlottesville, Virginia situation in an acceptable matter? Come on now this is same Trump who announced he was grabbing pussies, who made fun of a disabled news reporter, who thought that Frederick Douglass was still alive, who vocally supported the physical racial violent acts that were an everyday occurrence in his political rallies, who lead the call that President Obama was an illegal citizen with birthing issues, who refused to denigrate the public support of David Duke, who ....... need I go on? Why not, who nominated Betsy Devos to destroy the Department of Education, the same Betsy Devos who stated that southern black colleges were a great example of school choice, Trump who hired Ben Carson to be HUD secretary with absolutely no understanding of housing issues. Need I go on? Why not, please don't rankle me with the excuse that Frazier had to be beholding to his Board of Directors, or his corporate stockholders. That excuse is used every time justice is ignored. 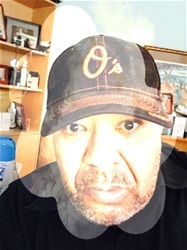 It is also simply the biggest load of crap ever formulated to be an acceptable excuse for a so-called intelligent black man.. Why did Frazier ignore until this morning Donald Trump's and Donald Trump's associate's acts of injustice? Did he get religion on Sunday? Or was he trying to get ahead of the favorable press he would gain with this announcement? The best announcement Frazier would've made was to decline Trump's offer of that non-paying position with clarity and foresight when initially offered. I hate it when our people cheese for profit and go about accepting injustice. Then if they see potential profits or positions being threatened they go find religion. Kenneth Frazier, who do you think you are fooling?